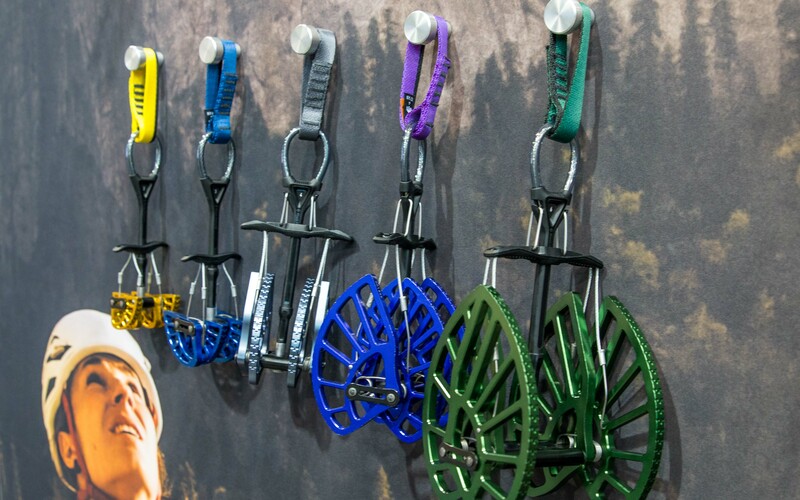 The 2019 Outdoor Retailer Snow Show was a hit. Black Sheep spent 3 days on the ground running from booth to booth checking out all the new invitations that the public should be able to get their hands on within the next year! 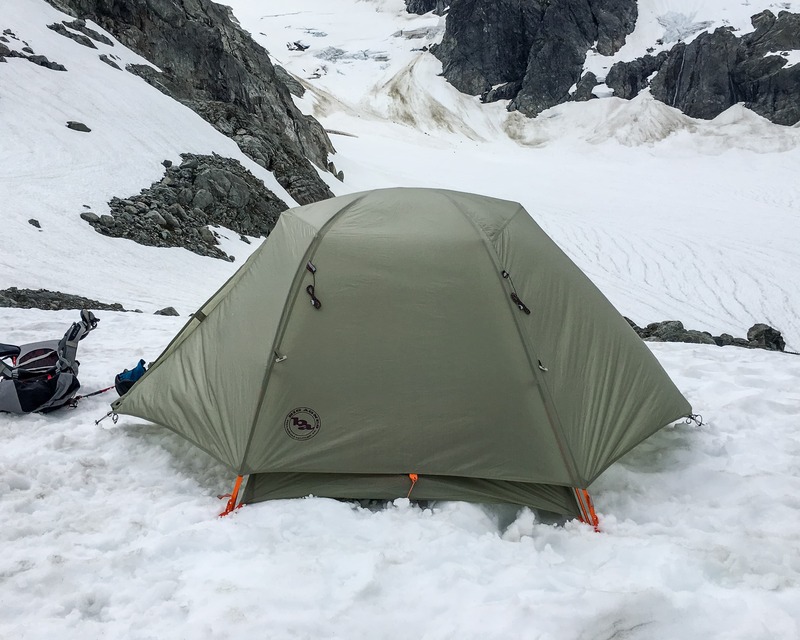 It was hard and took a lot of thought, but here is what really stood out to us and is taking Black Sheep’s awards for the 2019 Snow Show. 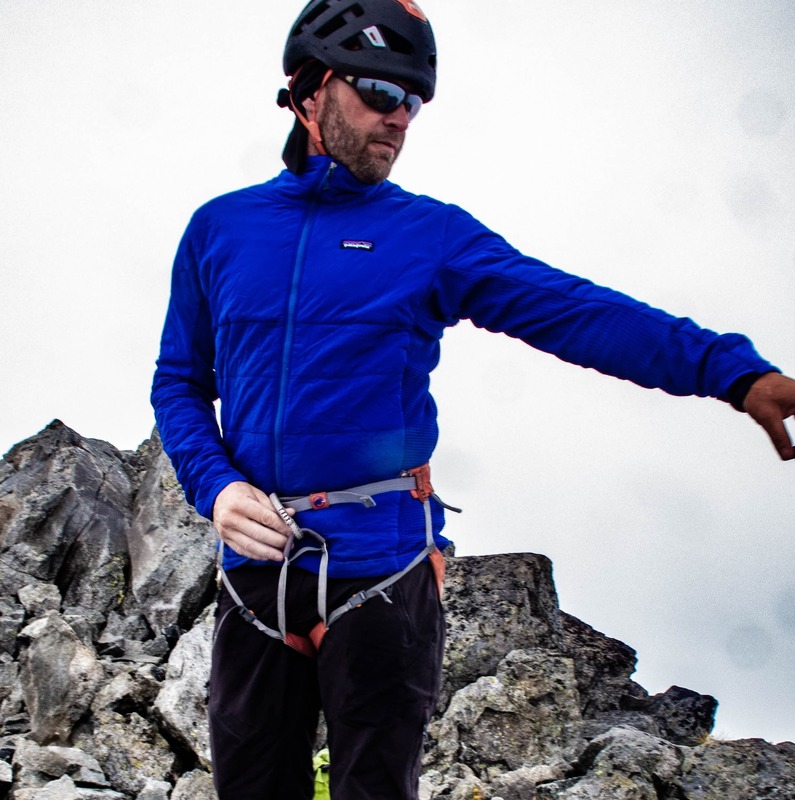 The Apparel Award: Mammut Puffy T-shirt! Haven’t you always wanted a Puffy T-Shirt? I’m personally surprised this hasn’t been more of a thing in the past. After seeing this t-shirt is was a no brainer that it won the Apparel award. 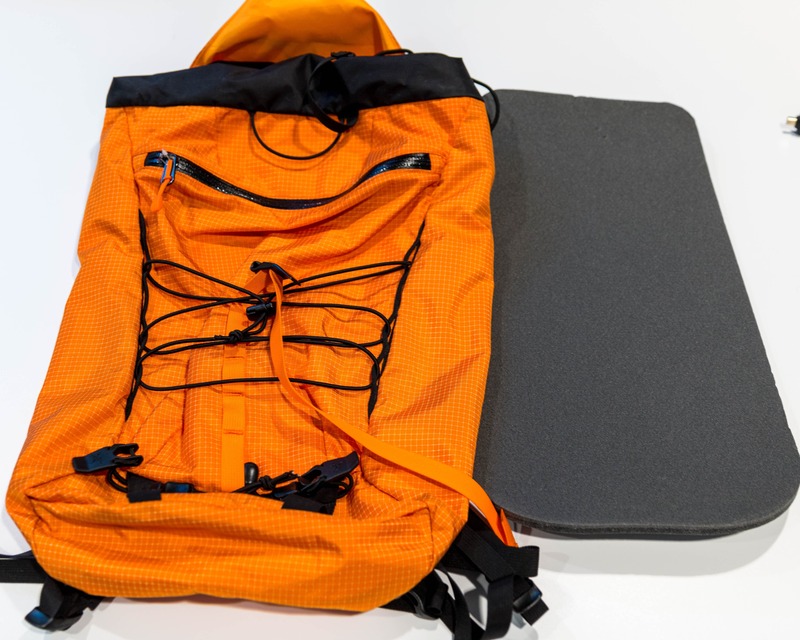 It’s a great idea and I can’t wait to try it in the field, although some questions definitely come to mind. 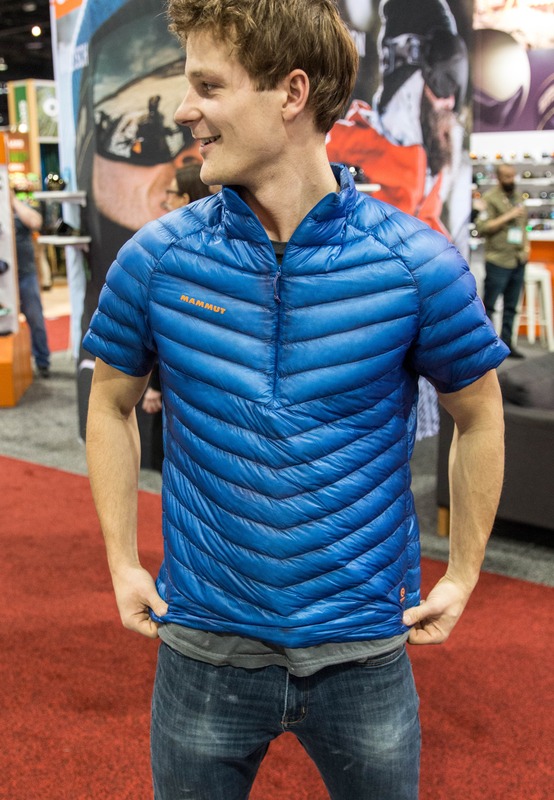 Down jackets are known for very little stretch, I can only imagine this t-shirt might have the same restricting issues. 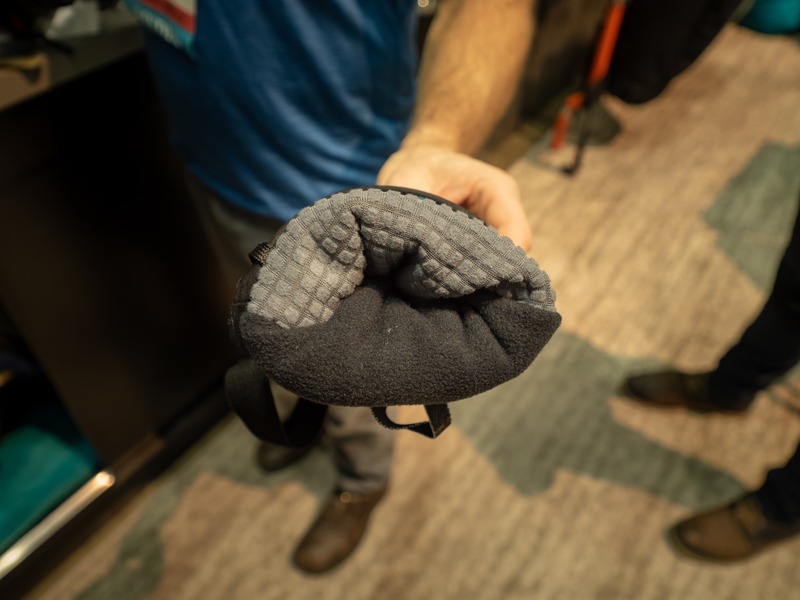 It will also be interesting to see how people use it in their layering systems. Will it be worn next to skin or with a base layer? Lastly, where will it actually get used? Down doesn’t breath after all. Although at the end of the day , this t-shirt is super cool! 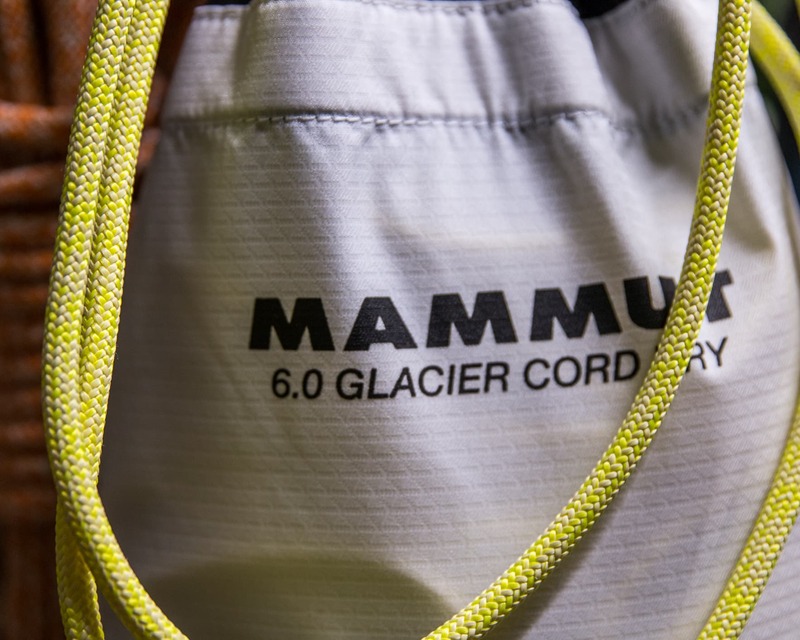 Well done Mammut. 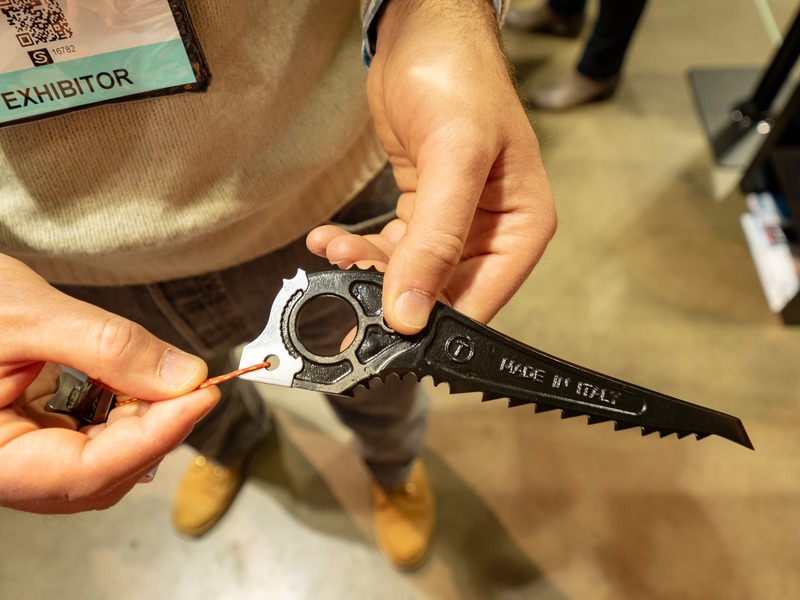 I personally have never been a huge fan of Grivel tools. Not that they are bad, but they have always been just “Ok” in my eyes. But wow they stepped things up to a new level. 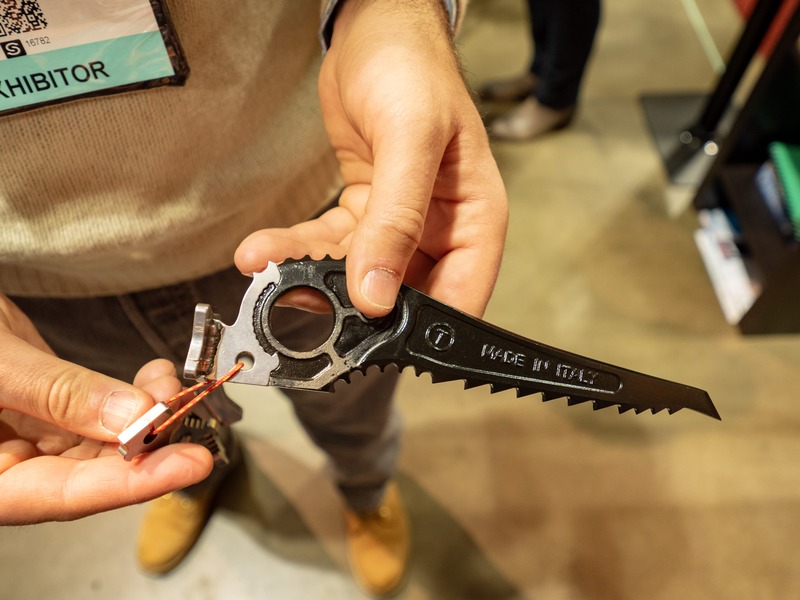 These tools are impressively light! It’s no surprise that they have been getting a lot of attention. 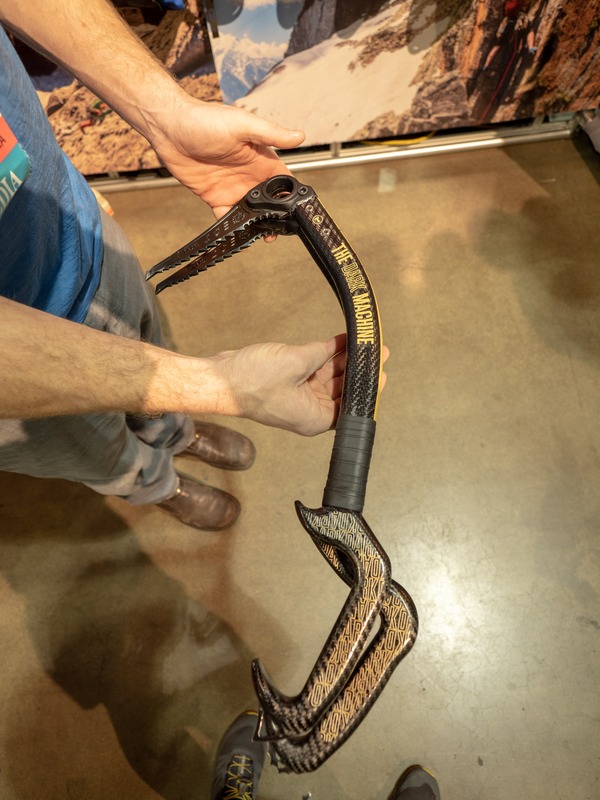 Long story short, they made the first full carbon tool. This is without a doubt the best carbon tool ever made, good angles, well balanced, affordable picks, the list goes on. Demonstrating the balance point on the Dark Machine. 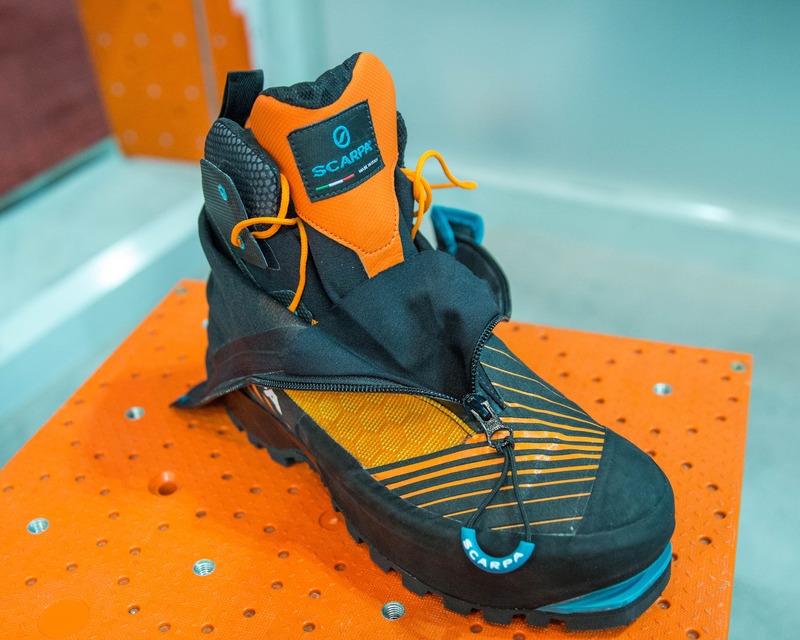 Without getting into too much detail The Dark Machine is ice climbing oriented and the Dark Machine X is more towards steep ice and mixed climbing. The Dark Machine does not come stock with pick weights, but from what we can tell it doesn’t really need them, it’s so perfectly balanced that the swing feels natural. Coming in at 470g you will actually notice a difference on longer leads. 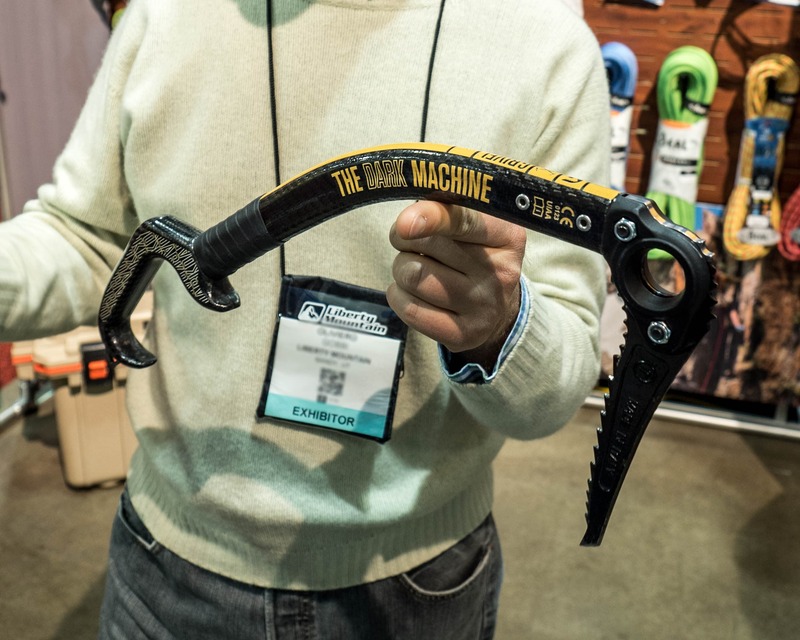 Now if you want to hang upside down and use a tool that will not slow you down, Grivel has the Technical Dark Machine X with a total weight of 480g! Now don’t get overly excited you will need to pay $450 USD a piece. So you’re looking at $900 USD for a set, ouch. Worth it? Oh yeah! Something worth noting, the Dark Machine X appear’s not to have a clip in point. 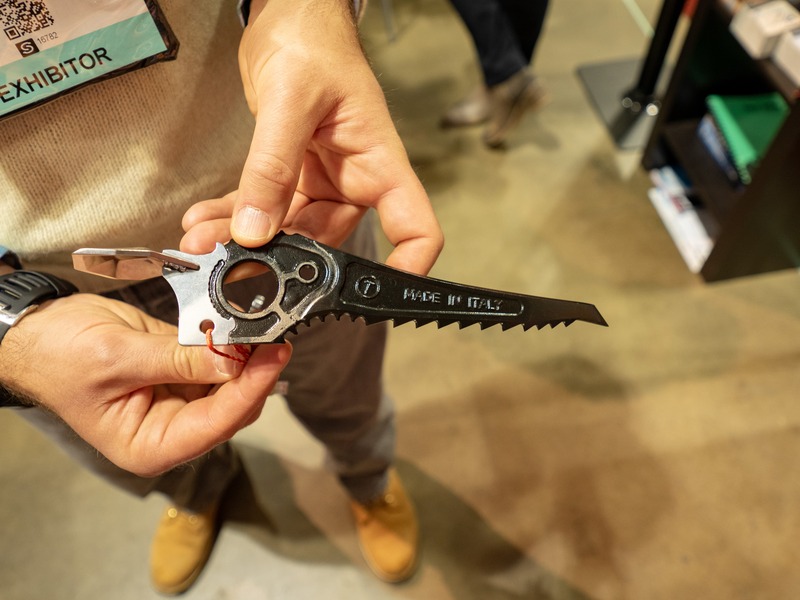 What really sealed the deal for taking home the Alpine Award for the 2019 Snow Show was the new picks that should be available for Winter 2019/2020. All the picks in the line have the ability to use either an Adze, Hammer or nothing, just pick the right tool for the job, clip and climb. 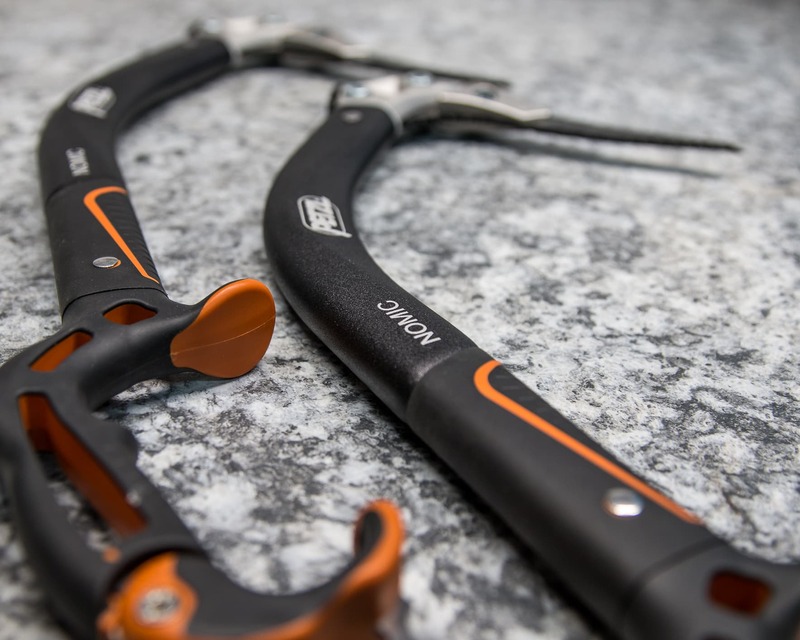 More information on these new ice tools can be found Here or on the Snow Show Climbing gear report. One thing that’s more annoying than cold hands, is gloves that wear out super fast. 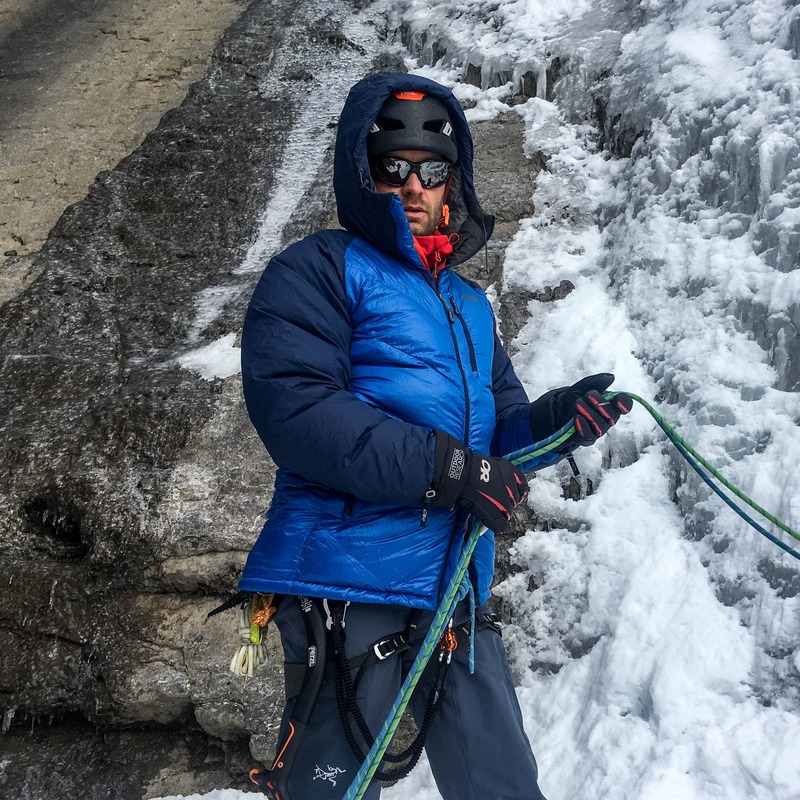 Mountain Hardwear just announced a full new glove line! 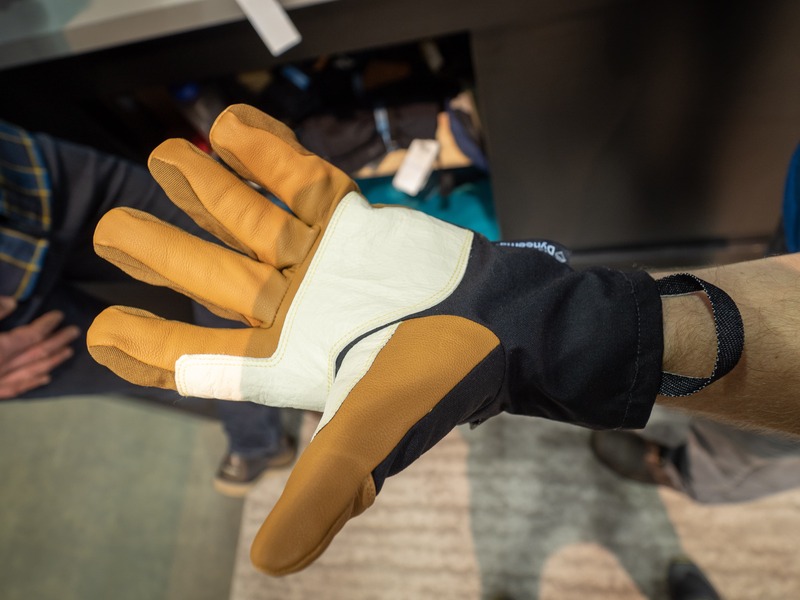 These high quality gloves have some sweet technology behind them, using new materials and insulations. 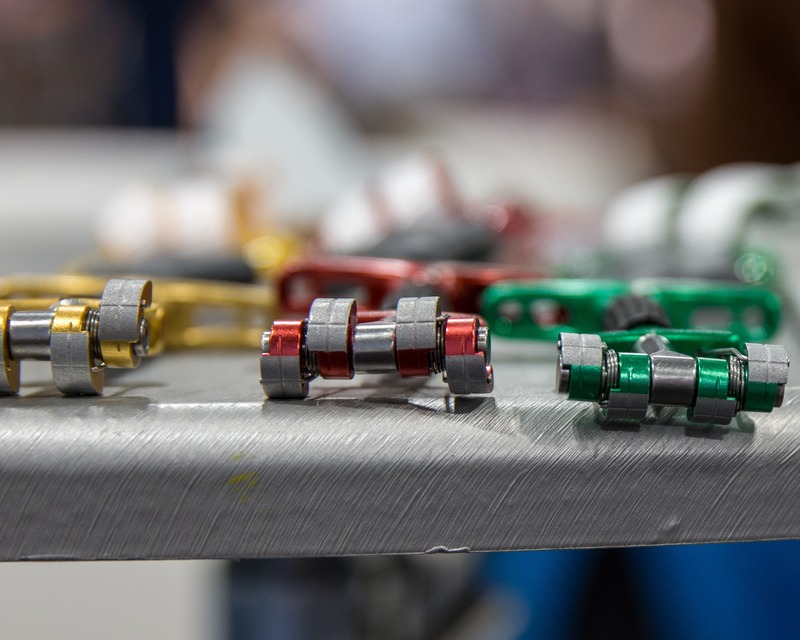 This new full line promises to look as good as they work. From what I could tell, and what you can expect, you’ll get what you pay for, with prices ranging from $179 USD to $299 USD. 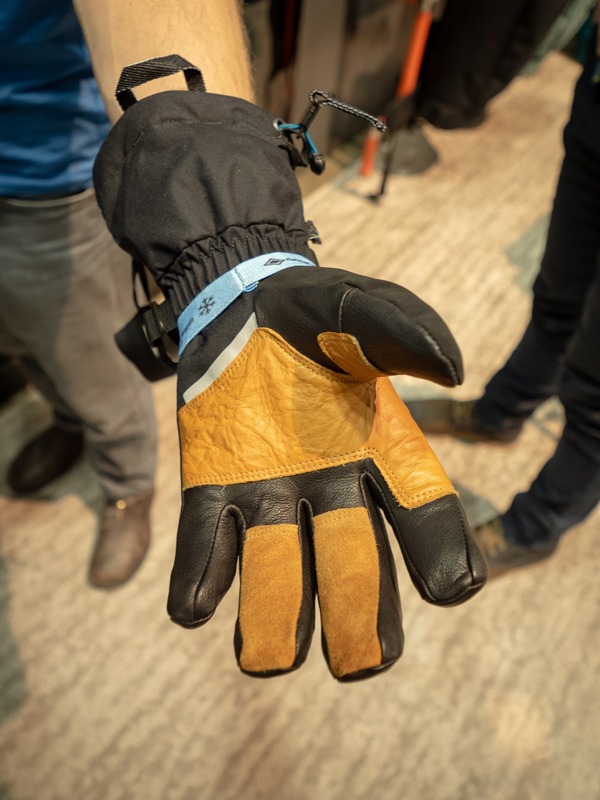 In the top end gloves, they use a a leather bonded with Dyneema to not only strengthen but lighten the glove while increasing durability. The glove had a very interesting feel, kind of glossy but still grips well. Most of the gloves had a some form of Gor-Tex to keep them fully waterproof, something you should be getting for a $200+ glove. What keeps these gloves warm is what separated them from the rest of the field. Mountain Hardwear used Areogel in the mid part of the glove, it is a very light, very warm, very expensive insulation. Areogel is a high quality insulator. 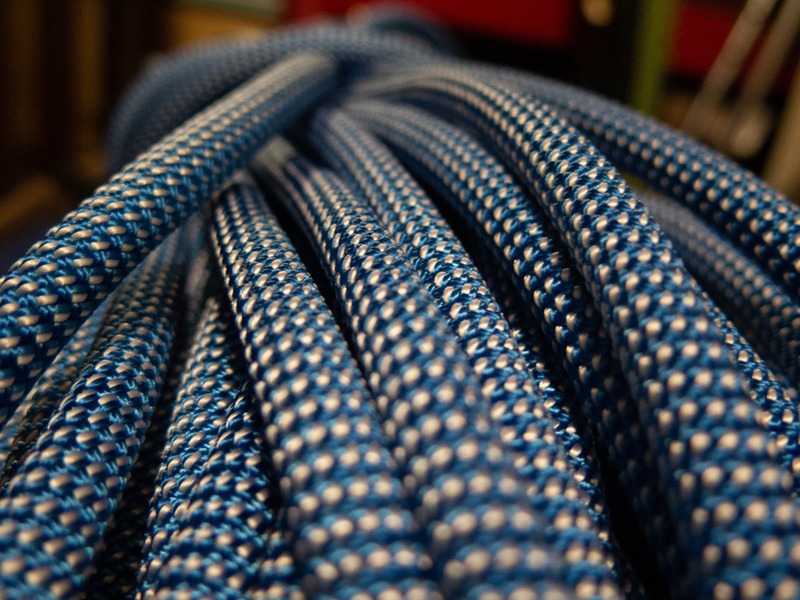 It’s used for industrial application like pipe insulation and insulating cargo ships. 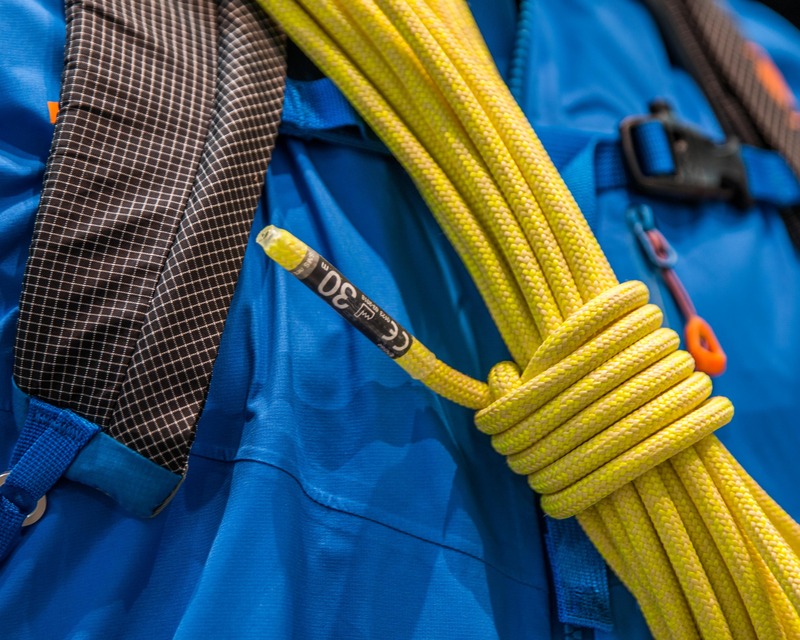 Fantastic news that this high performance product is starting to get used in the outdoor world. 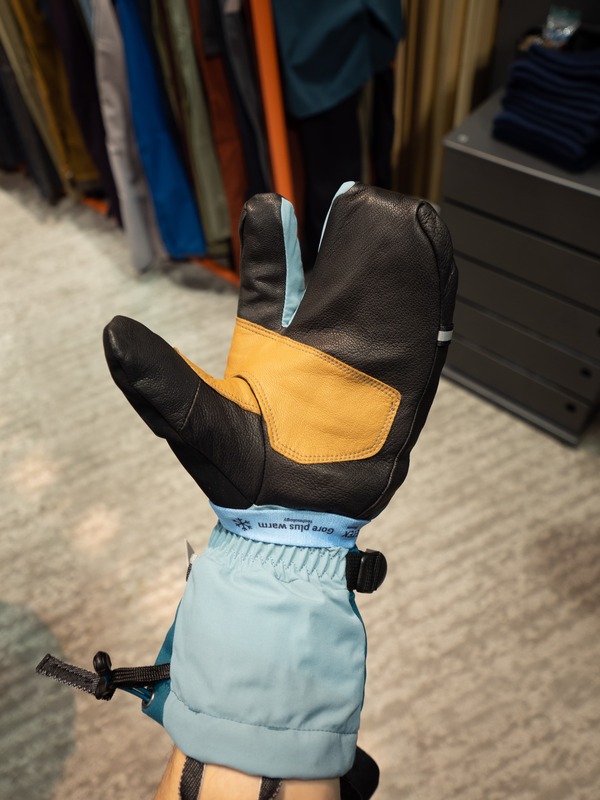 We took a look inside these gloves and found lots of minor details that had a great amount of thought put behind them. Stitch lines offset to avoid bulk, wicking liners to keep your hands dry, soft fabric and good overall fit with healthy finger length. 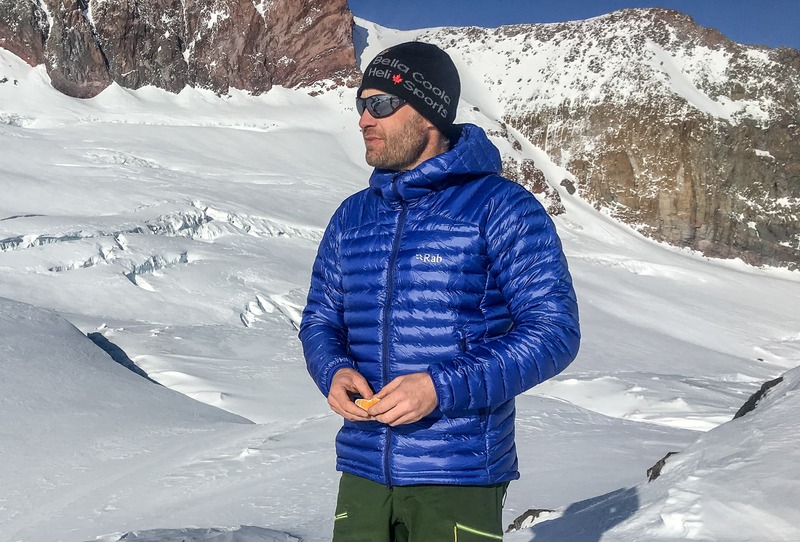 G3 Gear made a good thing better, the super well known and loved G3 FINDr has been a favourite for ski mountaineers for the past few years. 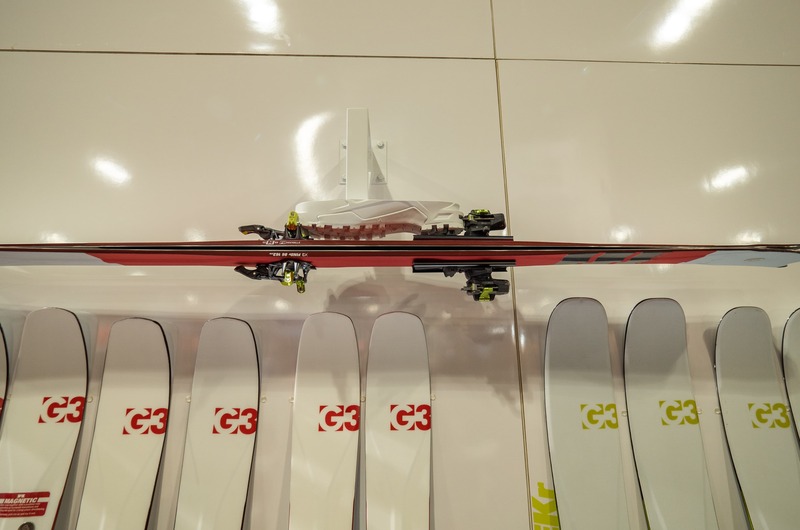 These skis really attracted a lot of attention. 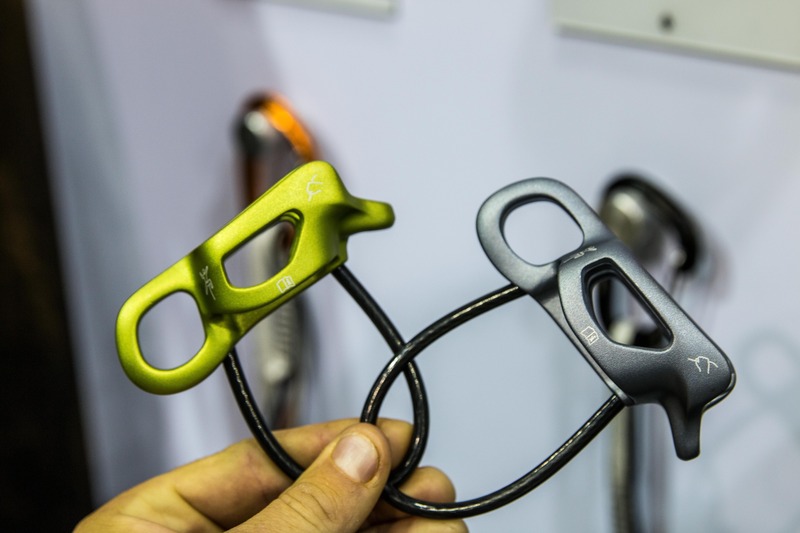 Say goodbye to ski straps the new G3 FINDr have magnets in the cores. 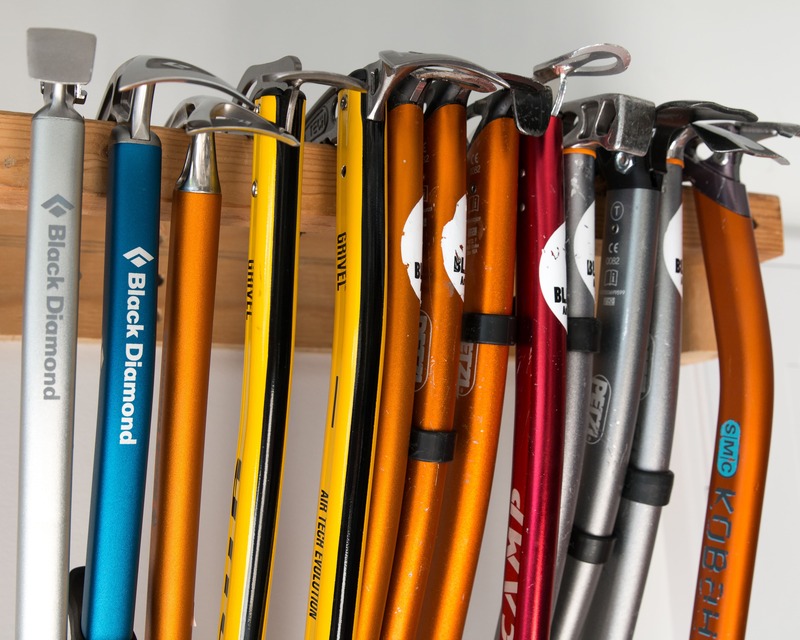 It holds them together solidly, but don’t worry it doesn’t affect how they ski at all. 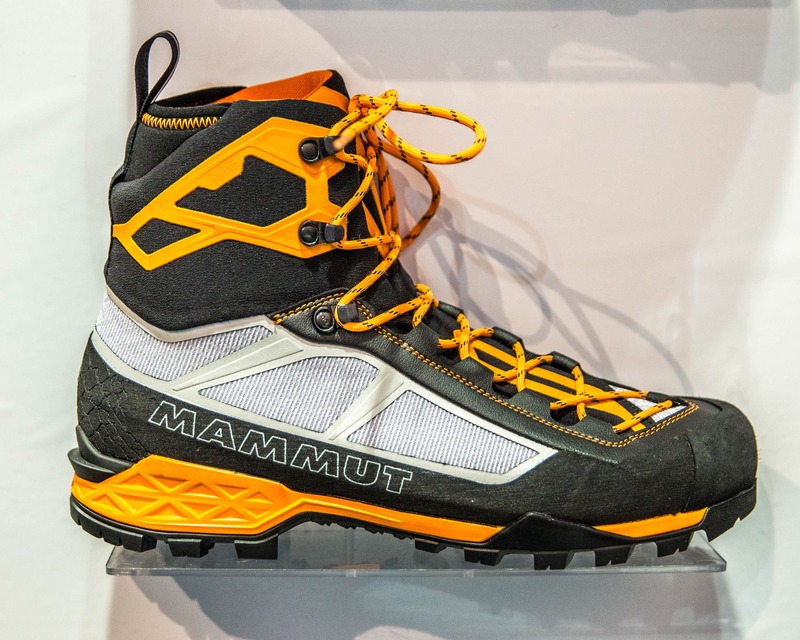 Scarpa announced some big changes that are going to be affecting the Phantom boot line for next winter. 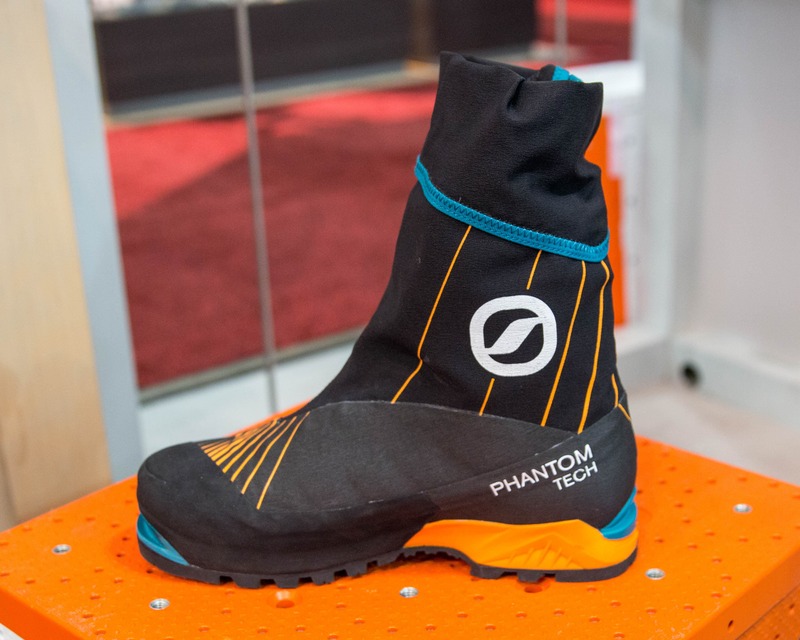 Changes will be coming to the Phantom Tech (a favourite for Black Sheep) and the Phantom 8000. The Phantom Tech had 3 main changes, 2 of which are major improvements. On the current generation of the Tech, the zipper wrapped around to seal the outer shell. This was very annoying at times, so Scarpa changed the zipper to just go up the side. A much smother design. 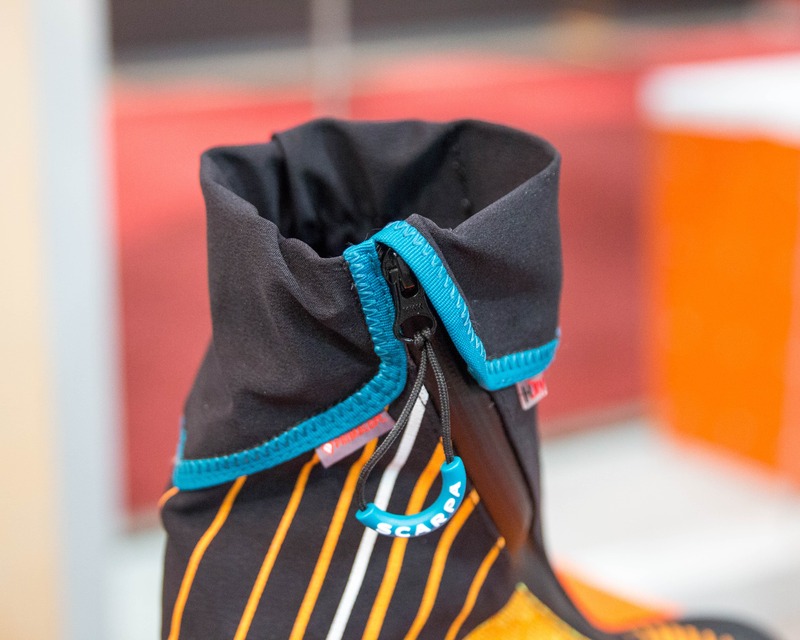 On the topic of the outer boot, it was changed to H-Dry fabric compared to OutDry that is on the current model. Saving the best for last, the sole is now one piece and way more durable, so I’ve been told. Read more Here on the Footwear report!